Stocks are tumbling amid an escalating trade war between the US and China. They still have a long way to go to wipe out their gains since the 2016 presidential election. Stocks are tumbling Wednesday morning amid an escalating trade war between the US and China, with both countries threatening new tariffs and other protectionist measures against each other. 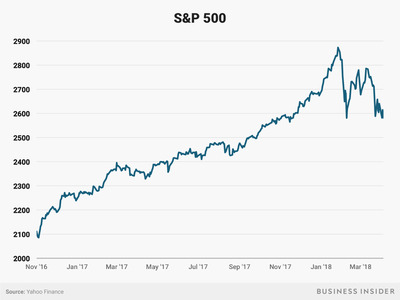 But they still have a long way to go to wipe out the “Trump bump” that saw major US indices skyrocket in the year after the 2016 presidential election. 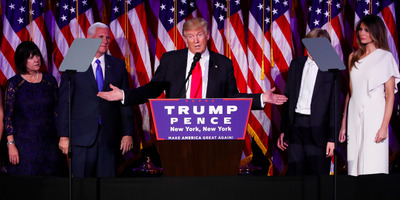 The S&P 500 hit an all-time high of 2,872.87 on January 26, 2018, up 34% from its closing value of 2,139.56 on November 8, 2016 – the day of the US presidential election. 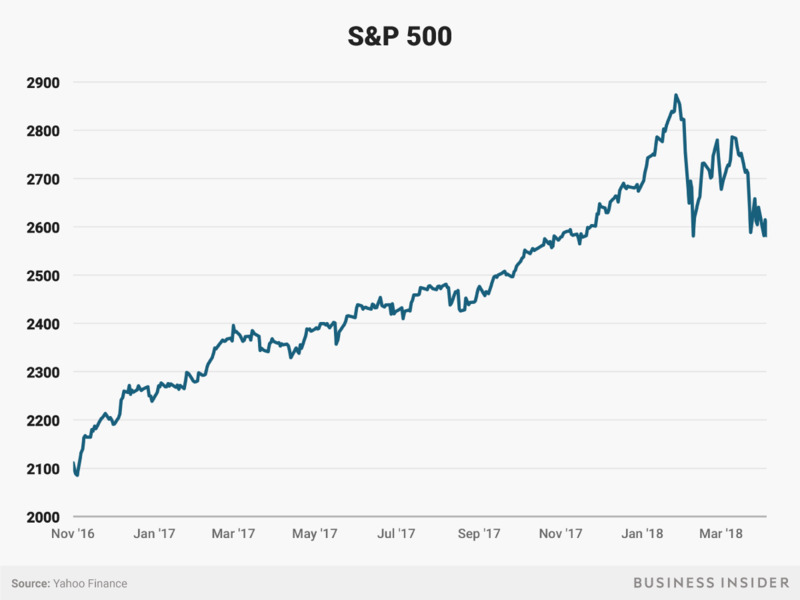 Since that time, fears of a trade war have caused stocks to tumble. As of about 10:40 a.m. Eastern time Wednesday, the S&P 500 was at 2,586.73, down just under 10% from the January high. Still, the benchmark index would need to fall another 17% from current levels to return to where it was on the eve of the election.